We are pleased to welcome Laura to our Victoria Shelbourne Physiotherapy Clinic team! Laura Werner is a Registered Physiotherapist with specific post graduate training in the management and treatment of pelvic floor, abdominal, pre and post pregnancy, uro-gynecological and lumbopelvic dysfunction. 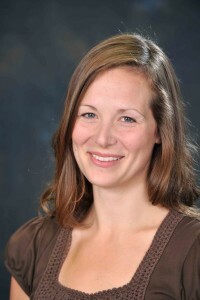 She earned her Masters of Physiotherapy Degree from University of British Columbia in 2008 and her Bachelor’s of Kinesiology Degree in Athletic Therapy from the University of Calgary in 2002. Laura is an active member of the Physiotherapy Association of British Columbia and was recently featured in a recent PABC video. Laura is passionate about Women’s Health and keenly continues to advance her knowledge in this field of study. Her passion to work in the field of women’s health developed while working at British Columbia Women’s Hospital where she learned how to assess and rehabilitate issues associated with the bladder, bowel and pelvic organs due to dysfunction with the pelvic floor muscles. After taking postgraduate courses in pelvic floor rehabilitation, she sought the training of Marcy Dayan, who has taught and worked extensively in this field. Laura mentored intensively with Marcy and was asked to join her practice. She worked at the highly regarded Dayan Physiotherapy and Pelvic Floor Clinic for over 5-years. Laura has also worked for the renowned Multidisciplinary Vulvodynia Program at Vancouver General Hospital. Laura’s ongoing commitment to Continuing Education is important to ensure that the most recent research is being accessed in order to provide the best evidence-based treatment strategies for her patients. Conferences, workshops and journal articles are regularly used to update knowledge and up-skill. Laura is regularly asked to lecture at education forums for medical staff, physiotherapists, nurses and for the public. Laura uses Real Time Ultrasound and biofeedback for assessment of pelvic floor disorders. Many clients are visual learners that see their muscles working on the screen and subsequently make a connection that brings about immediate positive outcomes. Laura is a Registered Physiotherapist with specific training in the management and treatment of incontinence, chronic pelvic pain, pelvic organ prolapse, constipation and the pregnant and postpartum pelvis. Laura integrates her clinical expertise with the latest evidence-based research in the assessment and management of movement disorders associated with musculoskeletal and Women’s Health issues. Laura Werner, Registered Physiotherapist with over 5-years experience treating exclusively uro-gynecology and orthopaedic conditions is relocating from Vancouver to our clinic in Victoria! She has extensive experience in treating pelvic floor, abdominal and lumbopelvic dysfunction. Laura is accepting new patients. To book an appointment with Laura Werner please call the main Physiotherapy clinic at 250-598-9828. “Laura Werner gave me an understanding of what was wrong with me and totally changed my feeling about my situation. I knew I had a prolapsed uterus and most likely needed surgery. She showed me in detail, with pictures, exactly what a prolapsed uterus was and how the pelvic floor muscles were involved. With her biofeedback machine, she helped me understand what a kegel exercise was and how to do it correctly and even actually see the pelvic floor muscle in action as I did my kegels. She also helped me to know what general exercises were safe for me to do to support my pelvic floor prolapse.